The Zimbabwe government wants to take over all diamond operations. 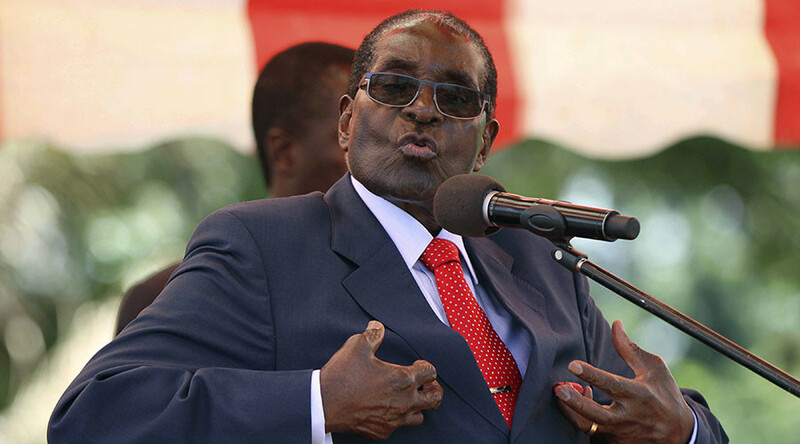 President Robert Mugabe says the country’s wealth had been looted by the existing miners. “The state will now own all the diamonds in the country. Companies that have been mining diamonds have robbed us of our wealth. That is why we have now said the state must have a monopoly,” said Mugabe in an interview with the state broadcaster. A week ago the country’s ministry of mines halted the work of all mining companies. Firms operating in the largest diamond fields of Marange in eastern Zimbabwe were forced to leave due to expired licenses. However, the government has denied seizing the mines. Earlier this week Mbada Diamonds, largest diamond miner in Marange, sued the government in the High Court and took back control of its mining assets. The Chinese-run diamond company Anjin filed suit against the government ban in the same court on Wednesday. Zimbabwe is the sixth largest producer of diamonds, according to global diamond expert Ehud Arye Laniado last year, but in recent years the country's significance in the industry has been greatly diminished. Diamond production plummeted from a high of 12 million carats in 2012 to 3.36 million carats in 2015 due to diminishing alluvial deposits and anxieties over the amalgamation of companies operating there. Experts say that the latest move by Mugabe’s government could further dim Zimbabwe’s reputation, and make it a more risky investment destination. “Zimbabwe is a known, risky jurisdiction to operate in,” John Turner, head of the mining group at law firm Fasken Martineau told Reuters. Mugabe’s plans now may give private companies a pause for thought, he added.